Are you the type of student who is self-motivated, enjoys exploring global topics, seeks an academic challenge, and has a desire to be a competitive college applicant? The North Hall High School International Baccalaureate Diploma Programme could be for you! In February 2008, North Hall High School earned the distinction of becoming an authorized IB World School. With this authorization, North Hall High School is able to offer our students one of the most rigorous high school programs of study that is recognized both nationally and internationally. The IB Diploma Programme equips students with skills such as problem-solving, critical thinking and fostering intellectual curiosity. Emphasis is also placed on helping students become well-rounded individuals through creativity, activity and service activities. Through these activities students have opportunities to contribute to their local and global communities. The aim of all IB programmes is to develop internationally minded people who, recognizing their common humanity and shared guardianship of the planet, help to create a better and more peaceful world. (IB Learner Profile booklet 2006) . The goal of the NHHS IB Diploma Programme is to prepare students with the skills and knowledge to be successful in high school, college, and life. Please feel free to explore this website to learn more about the IB Diploma Programme at NHHS. Should you have any questions about the NHHS IB Diploma Programme, please feel free to contact IB Coordinator, Kimberley Boyd at kimberley.boyd@hallco.org or 770.983.7331 x7201. *English HL and History of the Americas HL are required courses for full diploma candidates. For students’ junior and senior years, they will choose one course from each of the six groups. Of those courses, three must be at thestandard level (SL) and three must be at the higher level (HL). Students can make their selection of courses based on their academic strengths and interests. The standard level courses and higher level courses are both rigorous in nature. The higher level courses expand upon the curriculum offered at the standard level and typically requires one or more additional internal and/or external assessments. 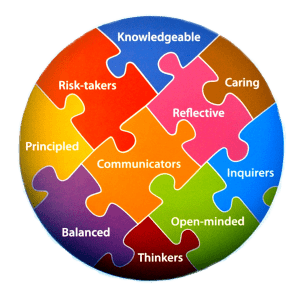 To help students prepare for the expectations of college and become aware of the positive influence they can have on their own community, the International Baccalaureate Diploma Programme also requires three core elements.